April 17, 2016 – The Bigelow Expandable Activity Module (BEAM) was installed to the International Space Station Saturday. 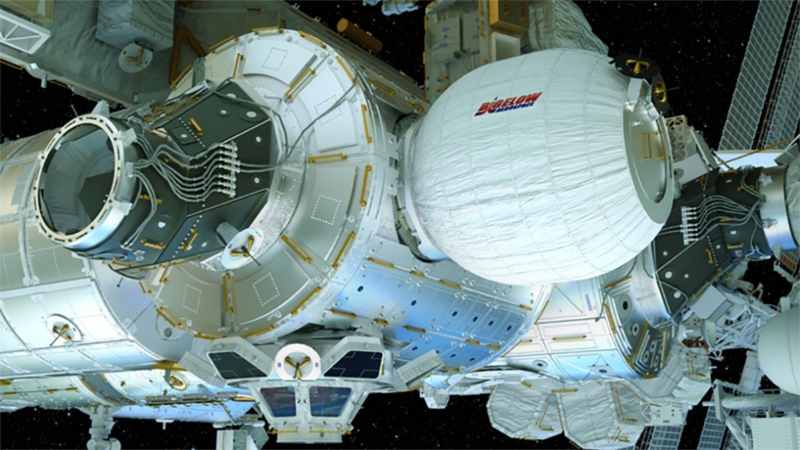 This is the first expandable habitat to be tested in space. At the time of installation, the space station was flying over the Southern Pacific Ocean. BEAM is an experimental module made by Bigelow Aerospace of Las Vegas, which can dock with the station and then expand to approximately 13 feet long and 10.5 feet in diameter, providing a potential habitable area for crew members to live and work in space. BEAM weighs approximately 3,000 pounds and has 565 cubic feet of pressurized volume. The station’s robotic Canadarm2 was used to extract BEAM from its SpaceX Cargo capsule and attach it to the rear port on the Tranquility node. In late May, BEAM will be filled with air and expanded from its packed dimensions of about seven feet long and just less than eight feet in diameter to its full size. During BEAM’s two-year test period, the module will typically be closed off to the rest of the space station. Astronauts will enter the module three to four times each year to collect deployment load, temperature, pressure and radiation data, and to assess its structural condition. After two years of monitoring, BEAM will be jettisoned from the space station to eventually burn up harmlessly in the Earth’s atmosphere. The BEAM module’s skin is made up of multiple layers of soft goods. The different layers consist of an air barrier or bladder, structural restraint, micro-meteoroid and orbital debris (MMOD) layers, and external multi-layer thermal insulation layers. BEAM has no windows. The robust MMOD shield is designed and tested for the low-Earth orbit environment, and is designed to stop MMOD particles from breaching the primary structural restraint layer and the air bladder. In the unlikely event of a puncture, BEAM would slowly leak instead of bursting. It is designed in this manner to preclude any damage to the rest of the space station. The BEAM is an example of NASA’s increased commitment to partnering with industry to stimulate the growth of commercial industry in space. The BEAM project is a public-private partnership between Bigelow Aerospace, Sierra Nevada Corporation, NASA’s International Space Station program and Advanced Exploration Systems (AES) Division, which pioneers innovative approaches to rapidly and affordably develop prototype systems for future human exploration missions. 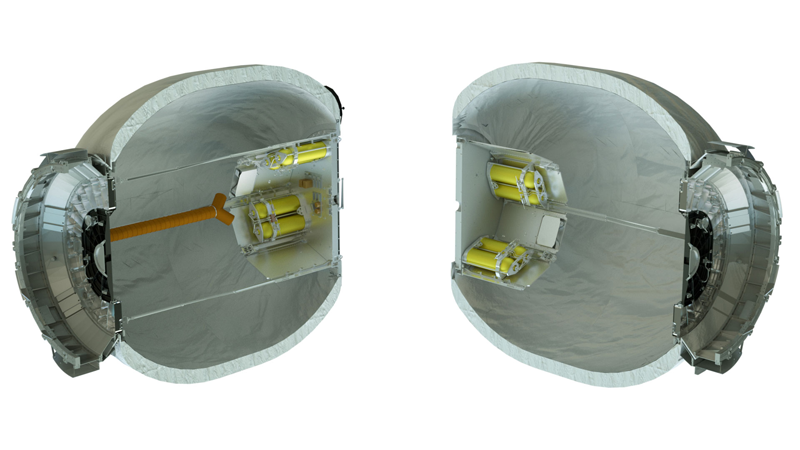 It may be a few more years before expandable habitats see regular use in orbit, but the BEAM will help NASA better understand the potential for expandable habitats for future space exploration. Last week at the Space Foundation’s Space Symposium in Colorado Springs, Colorado, United Launch Alliance and Bigelow Aerospace announced a commercial partnership to develop and deploy space habitats to be used in Low Earth Orbit. The partners expect to launch the first of these habitats into orbit in 2020 on ULA’s Atlas V rocket.